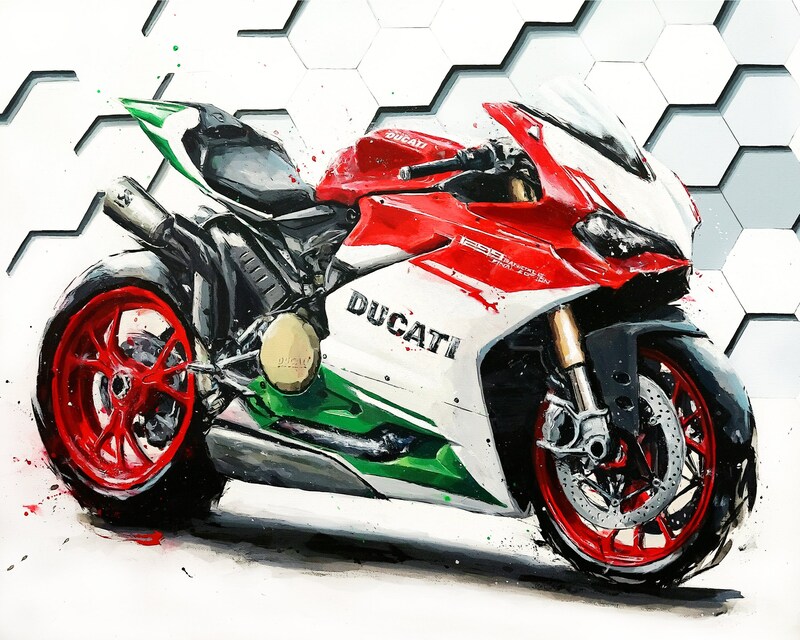 The Ducati Panigale 1299 R Final Edition is the last production version of a twin cylinder Ducati Superbike. 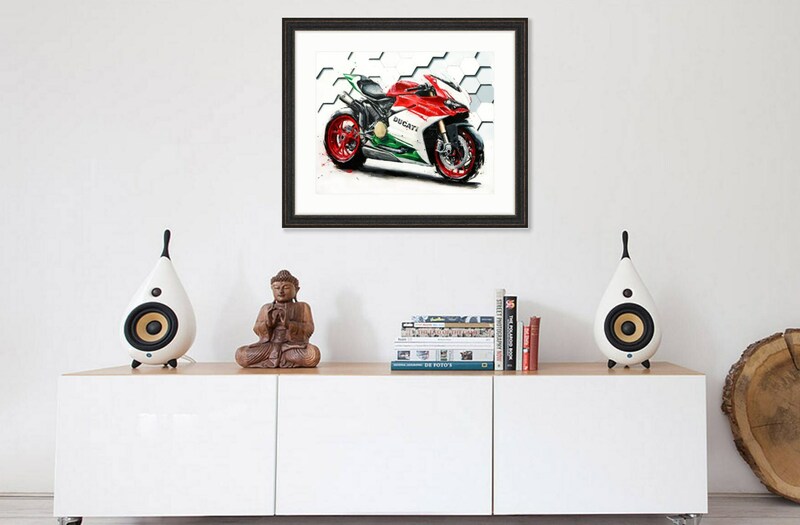 The original painting was displayed at Ducati Newport Beach's launch of the FE. Though the Acrylic-on-Canvas original is in a private collector's hands, prints are now available. Owners can submit their FE Build # and receive a limited edition print numbered with their bikes serial number. As an attractive and cost-effective alternative to framing, optional hollow-eye rivets can be pressed into corners of either type of prints prior to shipment. These rivets allow the print to be displayed in a more industrial style using hooks, wire or nails. (Recommendations are included with each print).